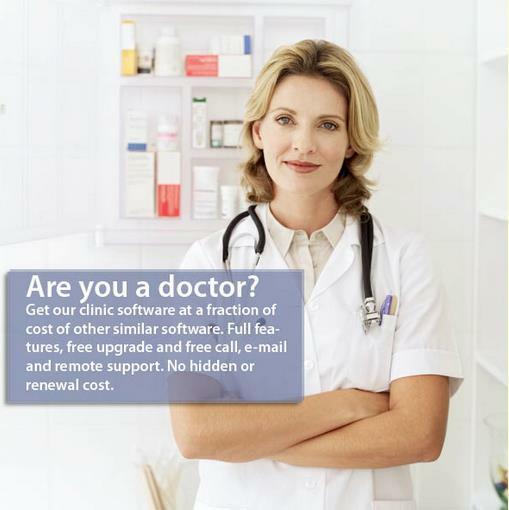 Our Clinic Management System ( CMS ) will cost you a very much lower than the cost incurred by similar product. It is partially sponsored by the advertisement embedded in the software and pay the maintenance for you. Our advertisers are from pharmaceutical companies and they will pay for the advertisement slots. You can enjoy the benefit without have to worry about renewal fee or any maintenance contract fee. 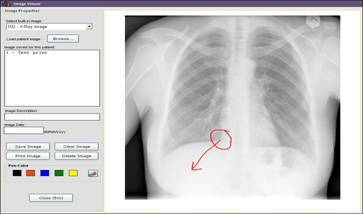 We want as many clinics as possible using the software. More usage will increase the advertisement slot’s value. Just get your PCs and other equipment ready and call us for the installation. 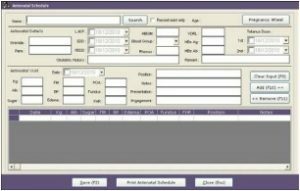 A complete solution for your daily clinical routines that cover patient management, drug inventory management, payment collection, panel billing, payment aging, immunization, antenatal, image viewer, medical checkup, MyKad data retrieval, accounting feature, reporting and much more features. 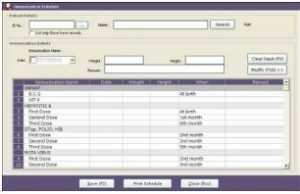 A local-based system, your operation and data are limited within your clinic only. 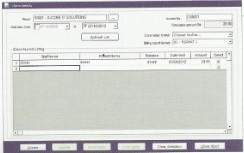 However, for chain-clinic operation, can be used together with another System to bring all branches data together for centralized billing and reporting for additional cost. 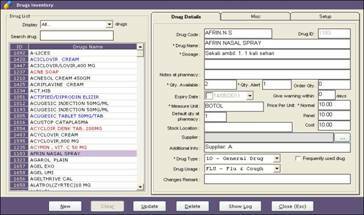  Print receipt, medication label, referral letter, MC and many more with just a few click with ready template. Your organization’s inventory represents a significant investment of financial resources. Managing it can be a monumental task. It takes detailed management and operations report to track and control items you stock and sell. 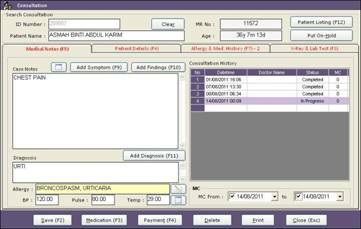 End of the month work is normally busy with a lot of reports especially panel billing to create. This will no more worry you as panel claim will be automatically created with only few clicks. 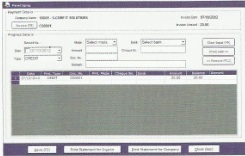 You may track payment received from the panel company based on the panel claim created every month. You know which invoices were fully paid and which are not. 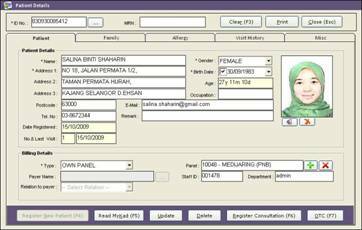 Customer can choose online installation and training via “Team Viewer” without traveling charges if they do not mind to have online training especially those in East Malaysia.